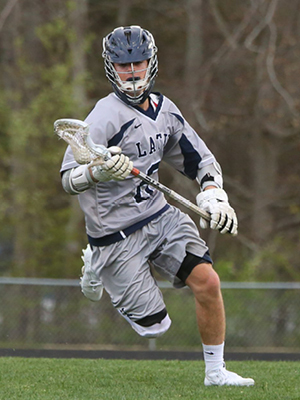 The athletic program at Charlotte Latin School is designed to challenge students to become the best they can be while providing opportunities for social interaction, an outlet for wholesome competition and a rewarding educational experience. Athletics provide the opportunity to extend classroom lessons to a broader playing field where life lessons can be learned; lessons in teamwork, self-discipline, personal sacrifice, respect and responsibility that enrich the lives of our students and prepare them for life in the "real world" following graduation. A commitment to athletic excellence is not only reflected in the many championship banners collected over the years, but also through Latin's adherence to high standards of personal conduct and good sportsmanship on the part of coaches, players and fans. Approximately 90% of students in grades 7-12 play at least one sport and club levels. Latin offers 66 sports at the Varsity, Junior Varsity, Middle School and club levels. Balance matters. Our athletes are students first. Our coaches are experts in their sport and in teaching and working with children. The Charlotte Independent School Athletic Association student athletes and advisors are the joint authors of the CISAA Sportsmanship Code, which guides and defines athlete, school and spectator behaviors. The student athletes of the CISAA believe that good sportsmanship is essential at each athletic contest in which we participate. The environment in which the game takes place should be welcoming. Spectators for each competing team should behave graciously and with dignity and show great respect for the opposing team, the game officials and the athletic facilities. Players should compete honorably and with self-control striving to share their love of the game with their teammates and the opposing players. Coaches should model appropriate game decorum, foster fair play among their players, and advocate for their team in a proper manner. The Administration for each competing school must ultimately take every measure possible to create an atmosphere of sportsmanship. Everyone present has a personal responsibility for upholding these ideals of true sportsmanship. 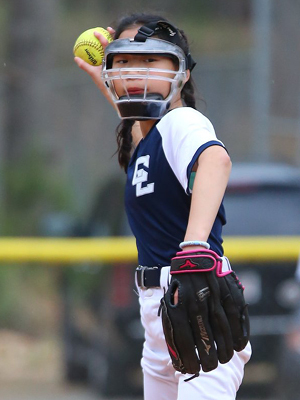 Charlotte Latin School competes in the Greater Charlotte Middle School Athletic Association (GCMSAA), the Charlotte Independent Schools Athletic Association (CISAA) and the North Carolina Independent School Athletic Association (NCISAA). At the state level, the Hawks compete in the North Carolina Independent School Athletic Association. Established in 1973 and incorporated in 1987, the NCISAA’s mission is to “encourage interscholastic competition among North Carolina independent schools that are committed to integrity, sportsmanship and fair play.” The NCISAA oversees schools throughout North Carolina and a few just over state lines in Virginia, South Carolina and Georgia, including 53 association tournaments. Schools in the NCISAA compete for the coveted Wells Fargo Cup, an award that recognizes overall athletic excellence based on points earned for state championships and state tournament finishes. Initiated in 1985 as the Wachovia Cup and awarded in two classifications (1A and 2A), the Wells Fargo Cup is now presented to the top school in 1A, 2A and 3A divisions. The winning schools receive an engraved silver cup and a banner. Charlotte Latin School has a strong history in the Wells Fargo Cup, including winning the 3A division in 2016-2017. The Booster Club is the parent volunteer organization that provides support for the athletics program through service projects and fundraisers.